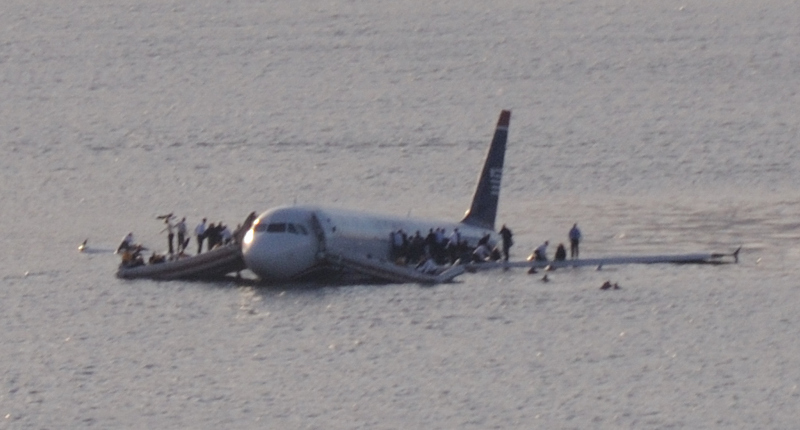 Sometime last year, I watched an interview with Chesley “Sully” Sullenberger, who was, of course, the captain of of the US Airways Flight 1549 which landed in the Hudson River in January 2009. Captain Sullenberger noted during the interview how he felt as if each of his previous flights, totaling some 42,000 hours, allowed him to make small deposits of experience into his personal piggy bank of skills, and on that fateful January day, he was able to make one large withdrawal while seeing the plane safely to the ground. His idea being it took every bit of skill, experience, and fortitude he had gained in his previous years in the air to ensure a safe and successful outcome when his plane lost power at 3,000 feet. Obviously, it all worked out. The quote stuck with me because on a conceptual level, Vision Therapy works in the same way. We gain experience, we make mistakes, we learn from them and we get better. Then every once in a while, a patient comes along for whom we need to make a withdrawal from our bank of skills, because our day to day techniques will only result in a fiery crash. Earlier this month, I met a little girl who, with any luck, will be one of my greatest success stories. All of six years old, she is every bit of an attention grabber as you may imagine and she has a smile to melt any heart. Bound to a wheelchair and unable to control much of her body below her mid-torso, this young lady grabbed my heart the moment she entered the office and worked harder at the challenges thrown her way than any twelve people I’ve ever met. Once a walking, talking, bouncing little lady, a horrible car accident last summer left her confined to a wheelchair, and among other things, a severe Traumatic Brain Injury and inability to speak. Her medical needs and recovery continue to be intense and lengthy, but I’ll not disclose much more since her story received national media attention some months back and protecting her privacy is a must, but I will tell you it was tough to read her case history without shedding a tear – and that was only halfway through page one. It’s one of those stories where you feel for the parents, and you try to empathize with them as much as you can, even though it’s nothing short of impossible. Having kids of my own, there were moments I even tried to understand what they have gone through and then I realized, I just don’t even want to go there. It must have been horrible. As an aside, I’ll share that as the most experienced therapist in our office my doctor tends to assign me the more difficult cases, and this one was mine from the get go. This was definitely going to require some serious brain power on my part. I’ll also share I’ve been around long enough where I usually don’t really get nervous when starting with a new patient no matter how difficult it may seem. But after reading the case history, then reading it again, and having two lengthy conversations with my doctor about this little lady, I was nervous. No doubt about it. Her goals were simple: Integrate a re-emerging Moro reflex and gain visual comfort in upgaze. There are many reasons she will not look up, some of them structural, but the overriding consensus is it’s mainly the visual component. Her Moro manifests in fear and startling, and is purely an assumption because testing her fragile body is impossible. There have been some considerations for Fear Paralysis as well, but by definition and observation of symptoms, it seems to be mostly a retained Moro Reflex. I reached out to my fellow Vision Therapists this week via our email forum and asked for advice, not really sure of where or how to approach things, and received some amazing suggestions. It wasn’t in so much that I didn’t have the right place to start or know what to do, but in my head, there were a lot of wrong places to begin and I was working to weed them out. I needed clarity, I needed suggestions, I needed to hear and read the ideas of others as I worked to narrow my focus onto the specific needs of this little girl. I needed to get in the proper frame of mind to help this little lady. Remember I said I was nervous? Forgive me, I tend to overthink things as I prepare for a new patient. As the session began, it became clear, as Sully said, those small deposits of experience and skill I had been making over the years were about to pay off. My day to day operation was not going to cut it. It was time to make a serious withdrawal. Posted on August 17, 2017, in From My Perspective.... Bookmark the permalink. 2 Comments. Good luck with this! I’m sure you’ll do great. I can’t wait to read about the outcome. Hello, Robert! I work for Dr. Sharon Snider, OD, FCOVD. We regularly treat patients with brain injuries. (Our doctor is actually in New York this week attending the NORA conference). Would it be possible to be added to the email forum you mentioned in your August 17th post? P.S. My co-workers and I have enjoyed and benefitted from your blog– thank you!